Aubrey ISD is a progressive and academically recognized school district that focuses on student achievement. We are proud to send more than half of our students to state competitions each year. 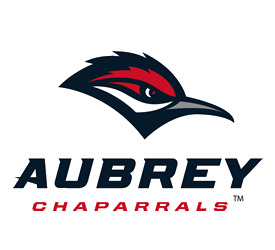 Aubrey students excel at athletics, academics, cultural endeavors, as well as agricultural and civic service. We serve the area of Providence Village, Krugerville, Crossroads and Aubrey with grades Pre-K through 12. Our staff and volunteers work together to ensure success for everyone. We enjoy the benefits of a small district while keeping up with the ever-changing demands of the 21st century. Our students benefit from an enriched academic environment to prepare them as lifelong learners. We are proud to be a part of a community team dedicated to student excellence. Once called the "Chaparral Bird" the Roadrunner has become popular in recent years through its comical cartoon representation, the Roadrunner, who continually eludes Wile E. Coyote! Aubrey IDS takes pride in knowing that its mascot is famed for its distinctive appearance and its well-know speed. Aubrey ISD is utilizing online registration. Prior to coming to the campus to enroll, please go to our website at http://www.aubreyisd.net/site/default.aspx?PageID=1. Click on Parents, under Help Desk, click on Parent Portal, click on Log In and use Have a New Student. The Parent Portal Quick Reference (New User) will give you help instructions. Once you have saved and submitted the information, you will need to bring the following to the Campus to complete the enrollment process. The guardian must be present to enroll the student.